Sometimes I write about the women who fought for this country’s independence in very real, sacrificial ways. Sometimes I write about women who fought the land and the times to settle difficult territory. Susan Anderson is definitely the latter. Born in Indiana in 1870, she moved with her family to Cripple Creek Colorado at the beginning of the town’s gold rush. 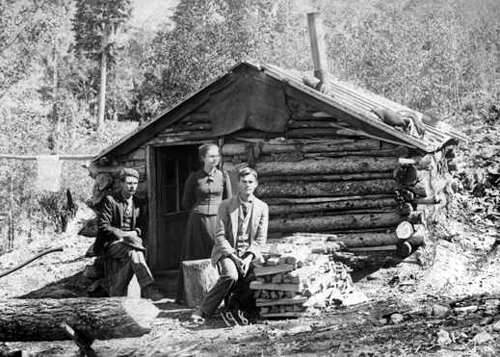 Deciding she needed more of a challenge than the rough and rowdy mining town could provide, her father encouraged her to attend medical school. In 1893, she entered the University of Michigan medical school. Little did she know how difficult the journey to put two letters behind her name would be. She graduated in ’97, but while in school, was diagnosed with tuberculosis. The illness would plague her the rest of her life. She returned to Cripple Creek and tended to the miners there for three years, but the pretty, petite doctor was jilted by her fiancée in 1900. That same year she suffered the loss of her little brother. In need of a change, she relocated her practice to Denver. Surely, the bustling, modern city would provide a steady flow of patients. Not. Anderson nearly starved to death. Patients were very leery of a female doctor, especially when there were already several male doctors in town. Frustrated, she moved again, this time to Greely, and took work as a nurse. How frustrating that must have been for this gutsy, stubborn gal. Probably the stress had something to do with her TB flaring up. Sick and weak, Anderson moved to Fraser, Colorado to recuperate or die. She breathed not a word of her vocation. But word got out, as it always does, and her health improved. I wonder if the two events are related? At any rate, the citizens of remote Fraser were delighted to have a doctor. They didn’t care if she was male, female, or a different species entirely. Everyone from lumberjacks to ranchers to pregnant wives came to see her. She occasionally even treated a sick horse. In her career as a doctor, “Doc Susie” was paid with everything from firewood to food. Cash was an extreme rarity and her living conditions reflected that. Nearly destitute, sometime around 1915 or so she was appointed the Grand County Coroner and the regular pay check helped ease some of her financial concerns. She never owned a car but always found a way to visit her patients. Most often she walked, sometimes in hip-deep snow. Mostly, though, friends and family members of patients provided transportation. Anderson was not rich financially, but she earned an esteemed reputation as a fine rural doctor and diagnostician. Her life was not easy but I think that’s how she would have wanted it. She liked fighting for her accomplishments. She conquered a frontier, both real and emotional, leaving behind a path for other women who dared to dream big. Anderson practiced in Fraser until 1956 then retired to an old folks home in Denver. She died four years later and was buried with her family in Cripple Creek.